Jim Spiri is seen here flying over Helmand Province Afghanistan. 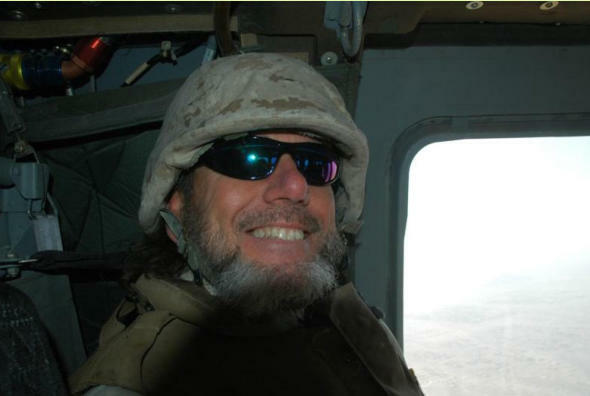 What I am conveying in this photo is...."I love it when a plan comes together". 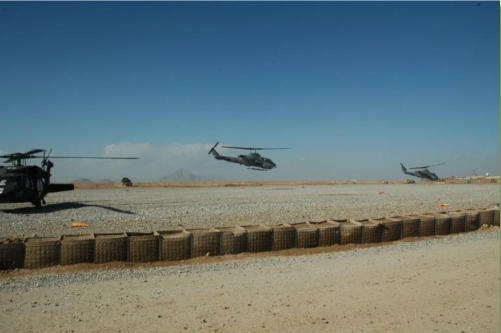 Photo by Jim Spiri, SPIRI FREELANCE...Kandahar Air Field, Afghanistan. This is what the first goal was. 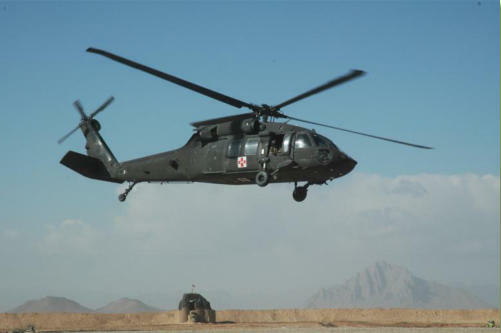 To find the New Mexico National Guard Blackhawk helicopters in Afghanistan. 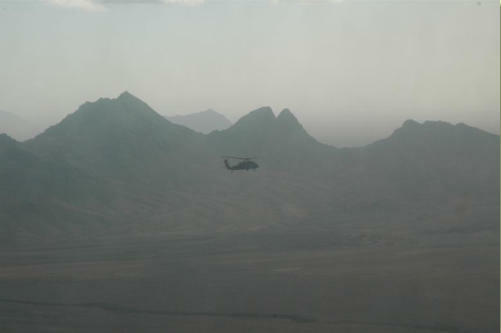 This first leg of the mission happened on Wednesday afternoon after one week of traveling from Albuquerque to Afghanistan. That's not so bad....! 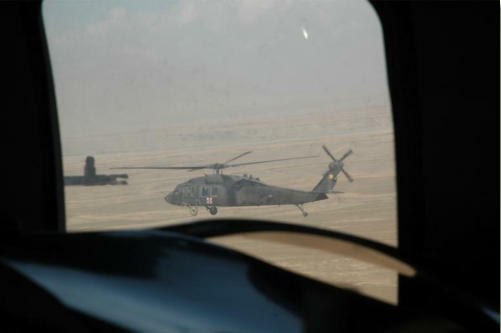 Photo by Jim Spiri, SPIRI FREELANCE...A New Mexico National Guard Blackhawk helicopter is seen out the window of another Blackhawk helicopter flying over Helmand Province Afghanistan. 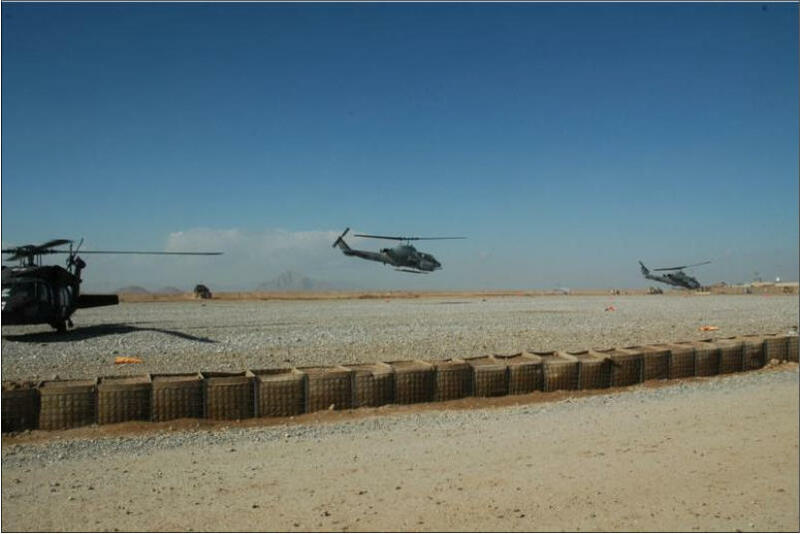 photo by Jim Spiri, SPIRI FREELANCE...two USMC Cobra attack helicopters launch from FOB Edinburgh in Helmand Province Afghanistan as a New Mexico National Guard Blackhawk medevac helicopter spools up in preparation for another mission. 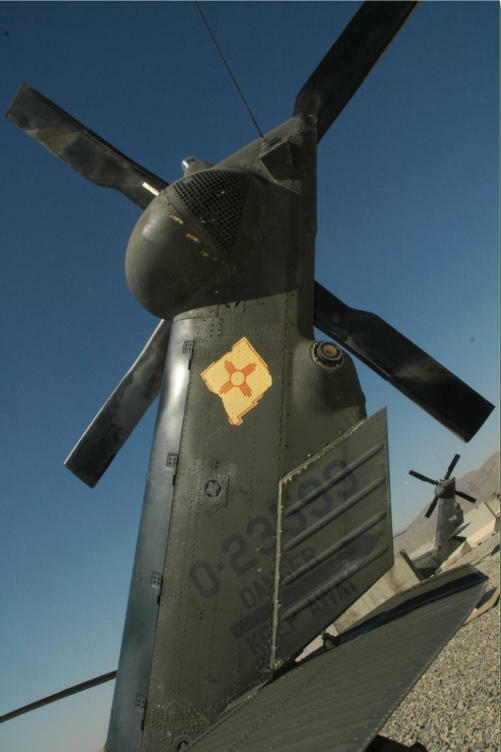 Photo by Jim Spiri, 2-22-12. Medevac helicopter from New Mexico National Guard takes off on mission from FOB Edinburgh in Helmand Province. 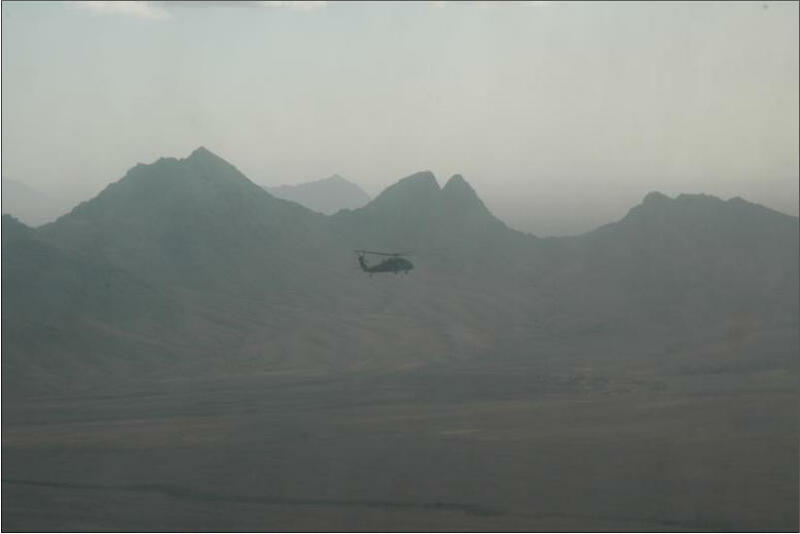 FOB "Eddy", as it is known, is the scene of one of the most critical medevac missions in Afghanistan. New Mexico National Guard unit C-Co, 1st BN, 171st AVN Regiment has been flying these missions for nearly one year now. Photo by Jim Spiri, SPIRI FREELANCE, flying over Helmand province looking at a NM National Guard helicopter out the window of the door gunner in front of me. 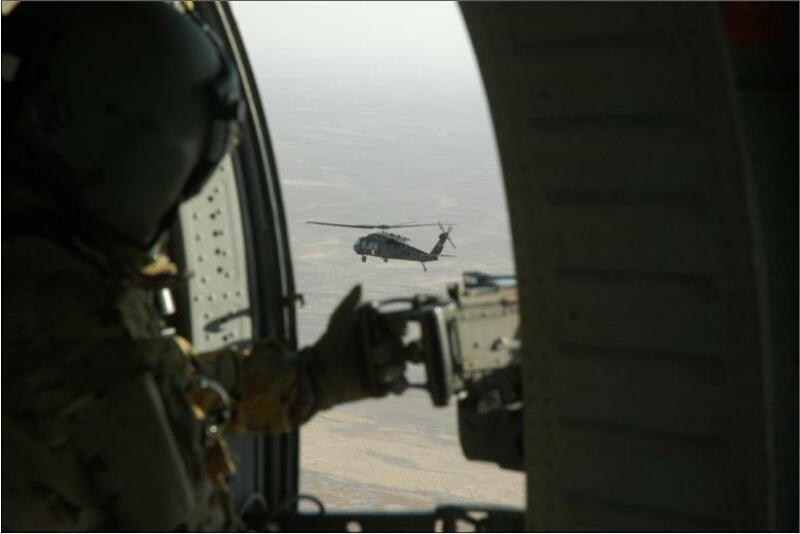 Photo by Jim Spiri...2/22/12 flying over Helmand province, Afghanistan. New Mexico National Guard helicopter in view out my window.